Kickstarter’s campaign for a Veronica Mars film made national news recently with the millions raised on the site. While many fans of the TV series got excited, it also sparked the excitement of many other TV series fans, especially the show Firefly. While Firefly fans’ hopes were high, Joss Whedon gave a disappointing response to the fans wishing for another go at the series. Take a look at his response below. My fourth feeling when I read about [the Veronica Mars Kickstarter campaign] was a kind of dread. Because I realized the only thing that would be on everybody’s mind right now. I’ve said repeatedly that I would love to make another movie with these guys, and that remains the case. It also remains the case that I’m booked up by Marvel for the next three years, and that I haven’t even been able to get Dr. Horrible 2 off the ground because of that. So I don’t even entertain the notion of entertaining the notion of doing this, and won’t. Couple years from now, when Nathan [Fillion]‘s no longer [on] Castle and I’m no longer the Tom Hagen of the Marvel Universe and making a giant movie, we might look and see where the market is then. But right now, it’s a complete non-Kickstarter for me. While we as Firefly fans think that the cast and director should stop everything they are working on to pursue Firefly, that is not the case. The Firefly crew did not halt their careers after the series and there are a lot of scheduling conflicts, prior commitments, and other bureaucratic red tape that needs to be cut before the film can even be discussed. While the news is disappointing, it’s reality and it’s going to be tough to get a film made off of a TV series that was cancelled and a film that bombed at the box office (Serenity) despite how much fans enjoyed them. For me, [Kickstarter] doesn’t just open the floodgates. God knows, things are cheaper now than when we made even Serenity. Good effects can be done in a different manner. Nor is that universe all about spectacle either. But it is a tad more expensive — and a little all-consuming! And of course, there’s the other fear: What if it’s not that good? I can do something that’s not that good — that’s fine. But if I do that and it’s not that good, I’m going to feel really stupid. Whedon is right about this. If he received a budget that made him produce a less than extraordinary film, it would not be acceptable by his standards nor the fans. Also don’t we want to see him continue his work with Marvel after the work he did with The Avengers? 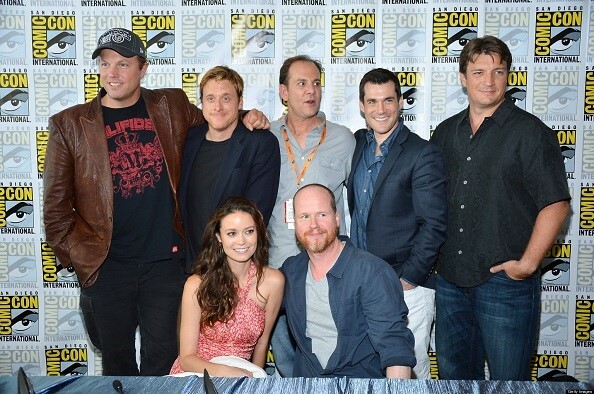 Even after he’s done with Marvel, there would still be a TON of work to get another Firefly film made. Maybe he should focus on a Buffy the Vampire Slayer film (my wishful thinking). First and foremost, Ryan Brown is a fan. He has been an avid fan of both the theater and cinema since an early age and his passion for both has been continually growing ever since. When dissecting a film, he focuses on all elements of film-making including some fan/cult factors. He believes that character development is the foundation of a good film and usually starts his analysis of a film from there moving forward. His writing style may be influenced by his background of narrative and argumentative studies in the subject, but he tends to enjoy a more conversational style to better interact with the readers, unlike some other pretentious and pompous writers.